3 days General admission pass. Turn 12 ( 3 days). Travel Decorum provides exceptional packages for all the sports enthusiasts touring during this time. With three base packages to choose from, every aspect of the trip is planned and customized according to the needs and wants of the traveller. Flights, hotels, car hires, event tickets and post event gig tickets are all available. Depending on the level of luxury desired, you can choose the best in all. The website holds umpteen options and provides a call to action service as well to help you explain your requirement in detail and customize the trip accordingly. With an unmatched quality of service and splendor, watch the race and the drama unfold in front of your eyes at the Paddock Club. There are unbelievable menu options, unparalleled views and it provides the perfect opportunity to mingle with the VIPs. These are private suites equipped with state of the art amphitheater facilities. With a 360-degree view of the circuit and open-air experience, this is not to be missed if you want to be enthralled by the US Grand Prix experience. These two story suites are everything niche. With the delicious food and free flowing beverages, the race turns more exciting than ever. This club boasts of an impeccable race view and hosts celebrity appearances on the weekends. It is state of the art and one of the most popular hospitalities. Located on the perfect vantage point, enjoy premium food services and soak in all the action right here. There is a live feed of the race and an option to view the race from the second floor balcony as well. To customize your bookings for any of these hospitalities or other venues, just give TravelDecorum a call! 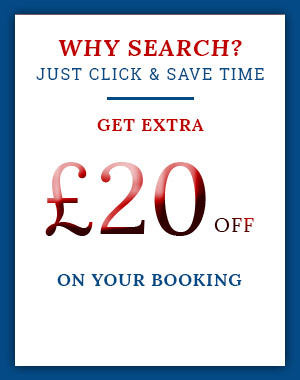 Your booking will be done seamlessly with all the necessary information given first hand. The American Grand Prize is here! The Grand Prix USA has been around since 1908. 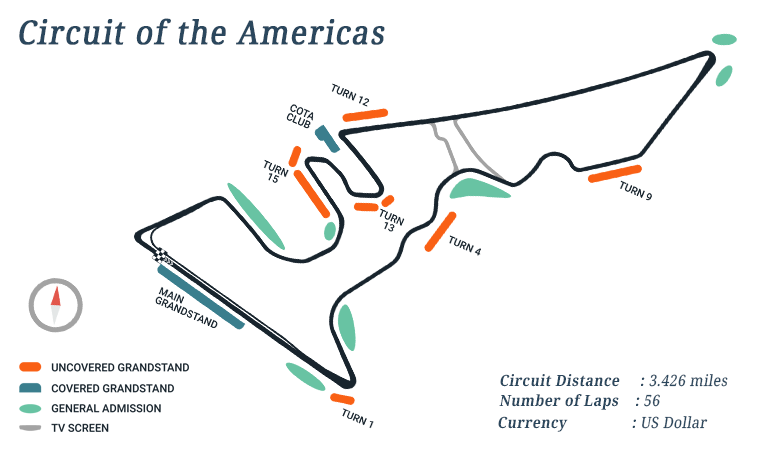 This is one of the most coveted and the longest running Formula 1 championships held in the US. Attracting tourists in colossal numbers, it is a holy ground for motor sports enthusiasts. Ferrari holds the most number of wins as a car constructor with Lewis Hamilton being the front-runner in the racers with 6 wins. 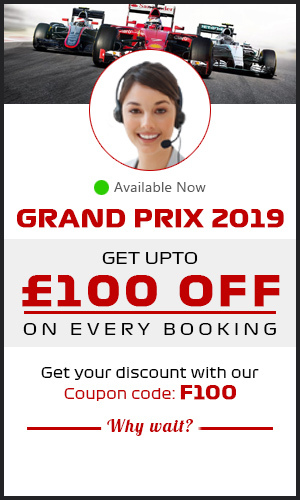 PRE-REGISTER FOR THE 2019 FORMULA 1 USA GRAND PRIX. Austin-Bergstrom International Airport (AUS) is the airport closest to the Grand Prix circuit in the USA. It is a class C airport in Austin, Texas. It is equipped with three helipads and two runways. Southwest Airlines treats this airport as its hub. This is oeof the 13 presidential libraries that houses historical documents and artifacts. A must visit for all political buffs. Enjoy a day of swimming and outdoor activities in the Barton Spring pool nestled in Zilker Park. This is an extremely popular and one of the largest university art museums in the US. It has over 18,000 artistic pieces from modern and contemporary genres. A recreational and entertainment hub, Sixth street has all the famous eating joints, live music bars, shopping avenues and clubs. Head out to this street for a lovely evening stroll followed by a sumptuous dinner.